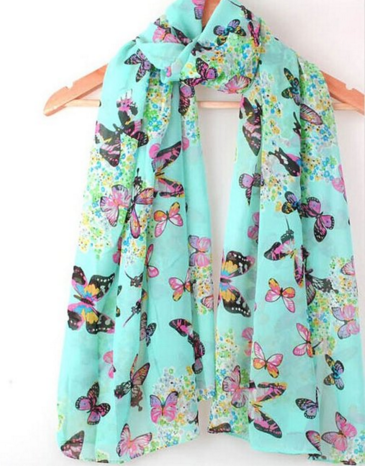 Women Fashion Butterfly Print Chic Elegant Long Scarf Wrap Just $4 Plus FREE Shipping! You are here: Home / Great Deals / Amazon Deals / Women Butterfly Print Long Scarf Just $4! Plus FREE Shipping! Women Butterfly Print Long Scarf Just $4! Plus FREE Shipping! Do you love scarves as much as I do? Then head over to Amazon and score this deal on Women Fashion Butterfly Print Chic Elegant Long Scarf Wrap for just $4 plus FREE Shipping!